NOTE: Updated 6:15 p.m., May 3. North Haven Police rushed to 385 Quinnipiac Ave. on reports of a “barricaded subject,” on May 2 at around 8 p.m., according to the North Haven Police Department Facebook page. 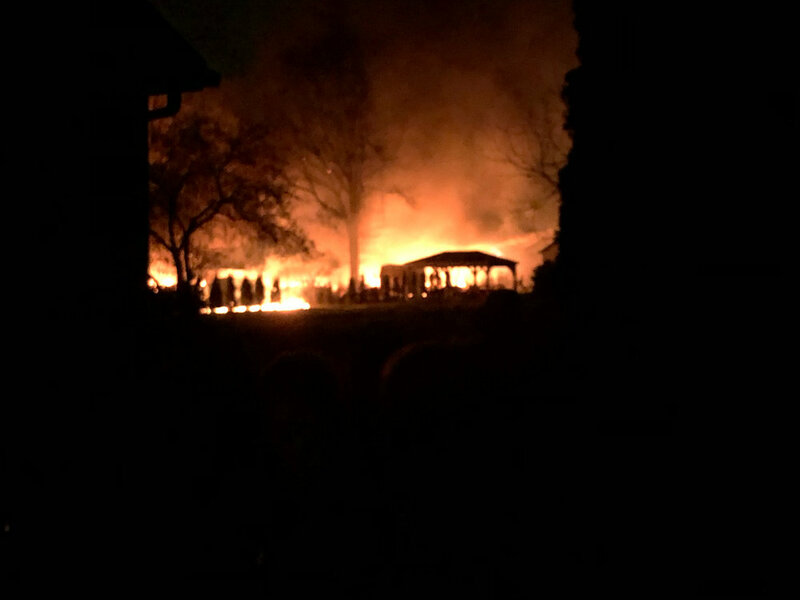 Later reports emerged that a large explosion set fire to the area, injuring first responders and leaving one unidentified person -- possibly the homeowner -- dead. Doctors are still treating the nine injured first responders at Yale New Haven Hospital, said Public Information Officer for Connecticut State Police Kelly Grant this morning. These officers came from three different counties and were all a part of the South Central Regional SWAT Team, according to Grant and Deputy Chief for North Haven Police Johnathan Mulhern. Conflicting reports from witnesses and neighbors make many details hard to confirm, but a White Pages address search listed John Sayre, Jr., owner of Sayre Plumbing Inc., as a resident. His wife Deborah was also listed. According to Grant, Deborah went to the police department around 2 p.m. Wednesday. Mulhern said in a press conference Wednesday night that his department responded to a domestic violence incident. "During the course of this investigation (police) had reason to believe that a tactical intervention or a SWAT team was needed to take the subject into custody." At about 8:15 p.m., witnesses say a garage exploded, which injured the first responders. Sayre has not been apprehended, but Grant confirmed that investigators found unidentified human remains in the carnage. Grant said the coroner will identify the remains. Four dogs were in the building when it exploded, according to a police officer on the scene, and are presumed to be dead. Kenny and Nancy Mahoney live next door. They said the blast shook their house and public utilities shut off power for three hours Wednesday night. The Mahoneys got their power back at around 2:15 a.m. Thursday morning. "We looked out our door and you could see the flames and the smoke. The smoke was unbelievable," Kenny Mahoney said. "There were a lot of other blasts after that, smaller blasts." According to Grant, parts of the structure are still burning. As of 6:15 p.m. on Thursday, police reopened Quinnipiac Avenue near Orient Lane. More fire trucks arrived after the first wave, and Connecticut State Police sent an armored vehicle. Follow @HQPress for photos and videos.